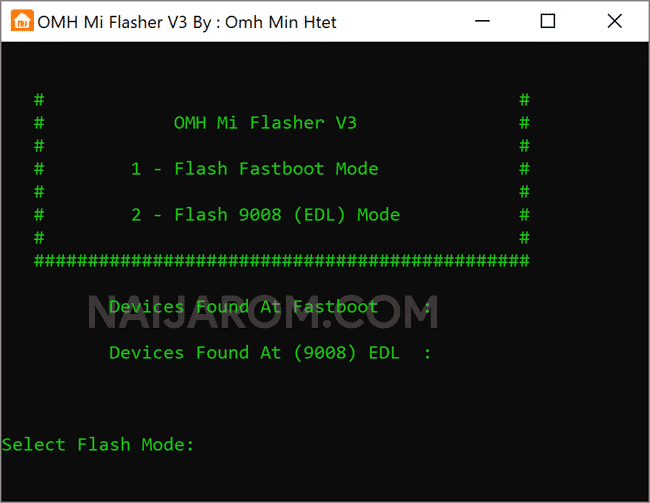 OMH Mi Flasher V3 is a small application for windows computer which allows you to flash the Stock Firmware, Stock Recovery, Custom Recovery, Root Package on your Xiaomi Smartphone and tablets in a single click. It supports flashing in two different modes i.e Flashing in Fastboot Mode, Flashing in 9008 (EDL) Mode. Flashing process may requires you to have the Stock Firmware, Stock Recovery or Custom Firmware (which can be downloaded separately). In order to use the Flasher, you need to install ADB Driver on your computer, then after, connect your Xiaomi Smartphone or Tablets to the computer and select the flashing method and hit the enter key to begin. [*] Credits: OMH Mi Flasher V3 is created and distributed by OMH Min Htet (developer). So, full credits goes to OMH Min Htet (developer) for sharing the tool for free.